The night before opening day, the Oakland Athletics and Toronto Blue Jays pulled off an interesting trade. The Blue Jays shipped DH Kendrys Morales and cash to Oakland in exchange for minor league infielder Jesus Lopez and international slot money. The trade is a signal that the Blue Jays are not planning to compete in 2019 but that the A’s are hoping to do just that one season after reaching the Wild Card Game. The 35-year-old Morales is in the final year of a three-deal with the Blue Jays. He’s provided steady production during his first two seasons in Toronto, hitting a total of 49 home runs during that time. However, his best days are clearly behind him. It’s possible that Morales could have struggled to hang onto the DH job all season, making it harder for the Blue Jays to trade him this summer. Instead, Toronto found a team willing to take Morales off their hands right now. For the A’s, trading for Morales appears to be a reaction to losing Matt Olson to a hand injury last week. Olson suffered a hamate injury on a foul tip last week while the A’s opened the regular season against the Mariners in Tokyo. The injury required surgery and the club placed him on the injured list. The A’s haven’t given official word on Olson’s status, but he’s expected to miss at least the first month of the season. Losing Olson for at least a month is a huge blow to the A’s. The young first baseman hit 29 home runs and posted a .788 OPS last season. Morales figures to help fill that void until Olson is ready to return. Of course, Morales played just 12 games at first base during his two years in Toronto. At this point in his career, Morales is primarily a DH who could end up being a liability if he’s forced to play the field on a daily basis. Nevertheless, that appears to be Oakland’s plan. Mark Canha and Jurickson Profar are also options at first base. Canha replaced Olson when he left last week’s game following the injury. But he has started just 69 games at first base in the majors. Profar has even less experience playing first base. That could leave it up to Morales to get most of the playing time there. Of course, with Khris Davis entrenched as Oakland’s DH, the A’s may not have much room or need for Morales once Olson returns. 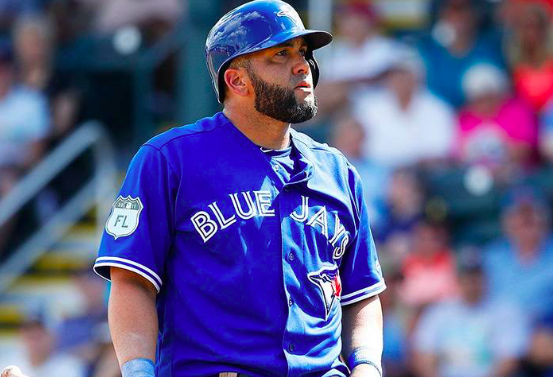 Meanwhile, the Blue Jays opened up their DH spot by trading away Morales. Young first baseman Rowdy Tellez is the favorite to get a majority of the at-bats in that spot. Tellez showcased some of his raw power last September with four home runs and then proceeded to hit five home runs in 50 at-bats this spring. Reserve outfielders Teoscar Hernandez and Billy McKinney could also get a few more at-bats with the DH spot vacated by Morales. In the end, the Blue Jays should be pleased with this trade. Despite picking up some of Morales’ contract, they save a little money while freeing up more at-bats for younger players. Of course, the A’s didn’t exactly give up a ton to acquire Morales. Lopez is not much of a prospect. But it remains to be seen how Morales will fare defensively at first base. He’s also destined to be a bench player once Olson returns. On the surface, the trade seems sensible for the A’s, but there may not be that much upside to it when all is said and done.